And you won’t reach your muscle building potential without it. 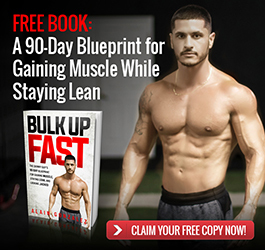 I go into depth on progressive overload and how to put on the most muscle mass in the least amount of time in my free book, Bulk Up Fast, which I recommend you pickup for yourself. For now, this article will touch on the basics of progressive overload. See, your muscles grow in response to training stimulus, and so if your muscles are going to grow and continue to grow, you need to continue in a pattern of progressively making demands from them. It does this in order to prepare for any possibility that you’ll have to handle the same stress again in the future. If we fail to increase that stress, however, our body will fall under the impression that it doesn’t need to prepare for another challenge, and therefore, doesn’t need to repair and grow. But if we continue to add stress, we’ll be forced to adapt and grow over time. And that is the promise of progressive overload: muscle growth. The same weight is going to keep your muscles the same size because they aren’t being challenged to adapt to a heavier load. But when you put them to the test by increasing the amount of weight on the bar, they’ll grow in order to meet the anticipation that you’ll lift that load again. Say this week you perform a 185lb. bench press for 3 sets of 8 reps. In order to implement and increase resistance progressive overload, the next time you go to the gym perform a 195lb bench press. Your amount of repetitions may decrease, but eventually you’ll get 195lbs. up to 8 reps, too. 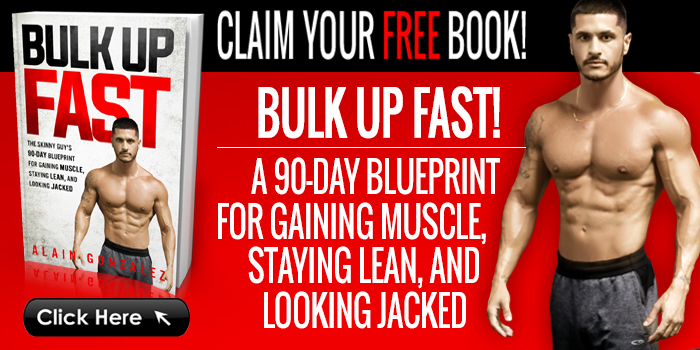 If you want to put more weight on the bar during your workouts and really stimulate major muscle growth check out my free book, Bulk Up Fast. You don’t necessarily need to add weight to your lifts in order to build muscle. Actually, a good first step to building more muscle through progressive overload is to increase the amount of reps you do. If you feel like you can crank out 10 reps of a certain weight, why stop at 8? Now, unlike increasing the amount of weight you lift, I have to put a ceiling on this one. Say you get to a point where you can complete 20 reps of a 225 lb. deadlift. You should increase the weight instead of trying to set a goal of 30 reps for the same weight, for example. Say this week you perform a 185 lb. bench press for 3 sets of 8 reps. In order to implement an increase reps progressive overload, the next time you go to the gym, perform 3 sets of 10 reps of the same weight. Volume is simply sets multiplied by reps multiplied by resistance. So the idea here is that even the slightest changes to your workload will can have a major impact on the results of your workouts. I recommend increasing your total sets rather than trying to increase your total reps, because when it comes to bulking up fast, heavier weights will have a greater effect on what you’re trying to achieve. Say your Monday workout is a push workout. In total you’ve got 20 sets in your entire session. In order to implement increased volume progressive overload, you could add one more set of bench press that you normally do. SO instead of performing 3 sets of 8 reps (like our examples above), you would do 3 sets of 8 reps and then try for a 4th set. Hey, maybe you get all 8 reps, or you might only get 5. Either way, you’ve increased your workload. Want to make sure you’re getting the right amount of volume for fast muscle growth? 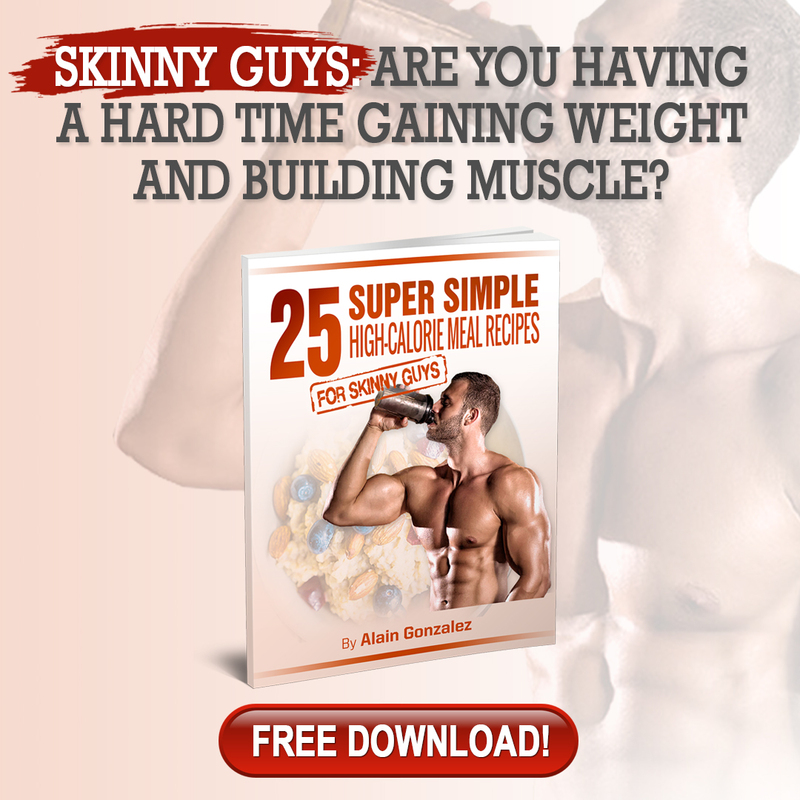 Check out my free book, Bulk Up Fast. 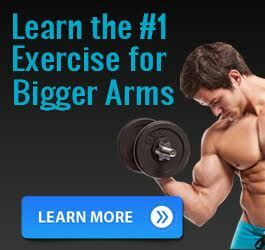 But this technique is an excellent way to stimulate muscle growth, not to mention it’ll shave a good 10 minutes off of your workout as well. Your goal here is to complete the same workload, but in less time, which will train your body to become more efficient in your gym sessions. 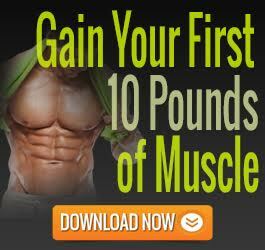 I go into more detail on the resting period sweet spot that you need for massive muscle growth in my free book… Grab it right now, here. Say your Monday workout typically takes you 45 minutes to complete. Cut down your rest time by 15-30 seconds on each exercise. Not much more to say here. You’ll notice your lifts being a little more challenging than the typical Monday, but that’s exactly the goal. New stress in the gym will always translate into new growth, and progressive overload is the best technique you can implement to make massive muscle gains. Also pick up a copy of my free book, Bulk Up Fast. In it, I talk about the ins and outs of progressive overload and how to make the biggest gains in the shortest amount of time. Don’t miss out on the opportunity to get your copy for free. 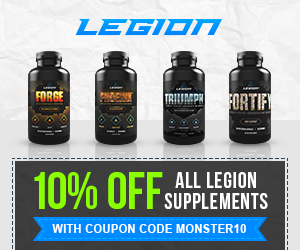 Grab Bulk Up Fast here!